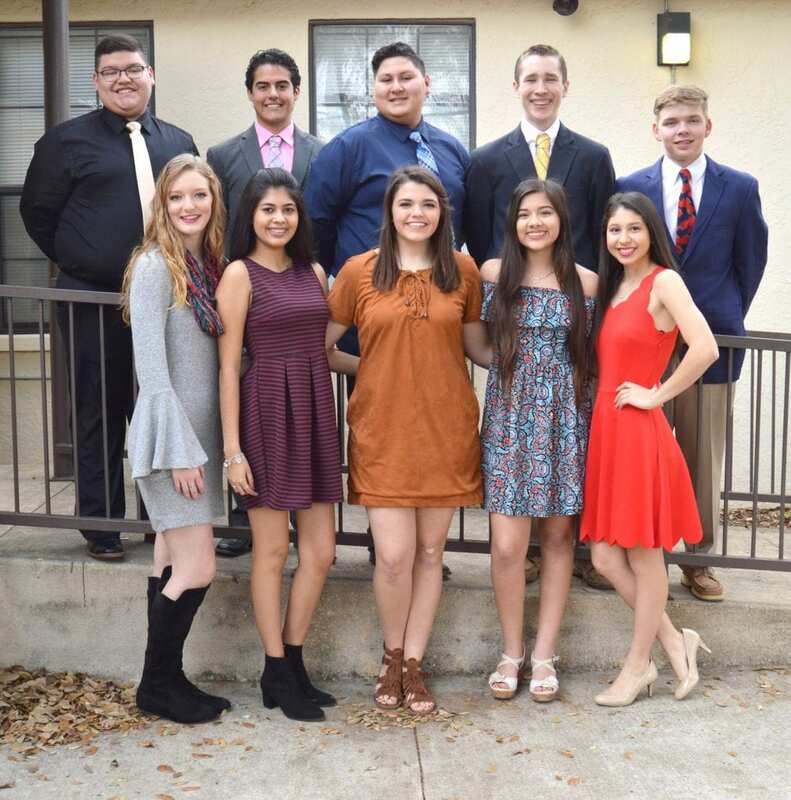 On Saturday, Jan. 6 the Kappa Tau Sorority hosted the annual Poteet Strawberry Festival Tea, to choose the candidates for the 2018 Queen and King. This year’s candidates for Poteet Strawberry Festival Queen are, left to right, front row: Jayci Kennedy, Karen Ortega, Hannah Watts, Stephanie Harris and Brianna Camarillo. The candidates for this year’s Poteet Strawberry Festival King are, left to right, back row: Derek Lozano, Marco Garcia, Nicolas Coronado, Tyler Parsons and Derek Scharmann. The annual Tea took place at Poteet First United Methodist Church. The coronation for Queen and King is scheduled for Saturday, March 3 at 7 p.m. This year the Little Mister and Miss Poteet Coronation will take place on Friday, Feb. 9 at 5 p.m. The Little Mister and Miss Poteet Pageant is open to first graders who either attend Poteet ISD or are home-schooled in the district. The 71st annual Poteet Strawberry Festival will run April 13-15.